The PPG Paints Arena, home of the Pittsburgh Penguins hockey team since 2010, is a multi-purpose indoor arena. This 18,500-seat arena has achieved LEED® Gold becoming the first National Hockey League (NHL) arena to reach that standard of sustainability. Some of the green building practices that allowed this project to receive such a prestigious designation included the use of materials that were delivered from within a 500-mile (805-km) radius as well as the utilization of recycled and recyclable materials, such as steel. 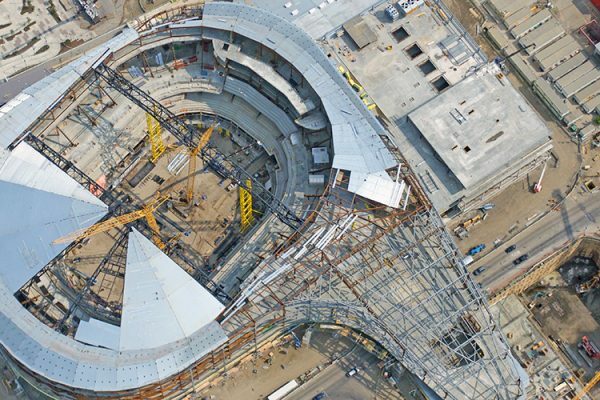 The arena features a high roof that required the fabrication of two trusses measuring 340 feet (104 m) in length and 45 feet (14 m) in depth, each weighing 205 tons, and two trusses measuring 280 feet (85 m) in length and 32 feet (10 m) in depth each weighing 150 tons. The trusses were assembled on the ground and then erected in halves. 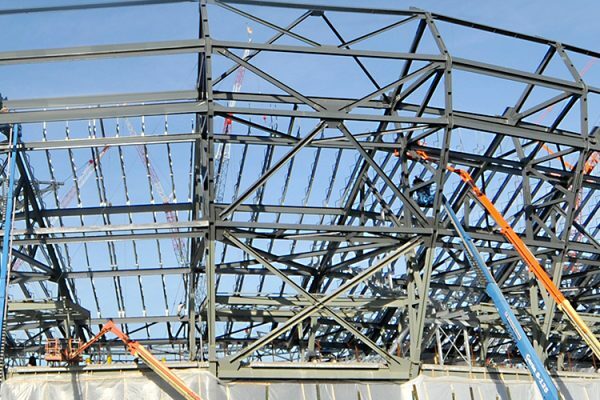 The use of virtual construction and BIM technology allowed for the trusses to be cambered in the 3D model, thereby avoiding clashes at the jobsite.